I will continue these Cronometer food diary posts for a week. At the end of the week, I’ll provide a summary of everything I’ve eaten, rough cost estimate, and food preparation tips. This post contains my food diary entry from Wednesday. 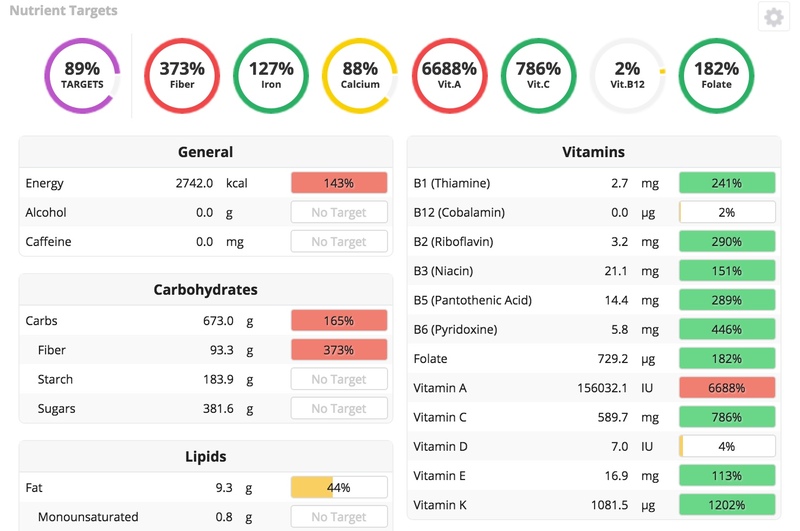 2742 calories total: 91.5% from carbs, 5.6% from protein, 2.8% from fat. 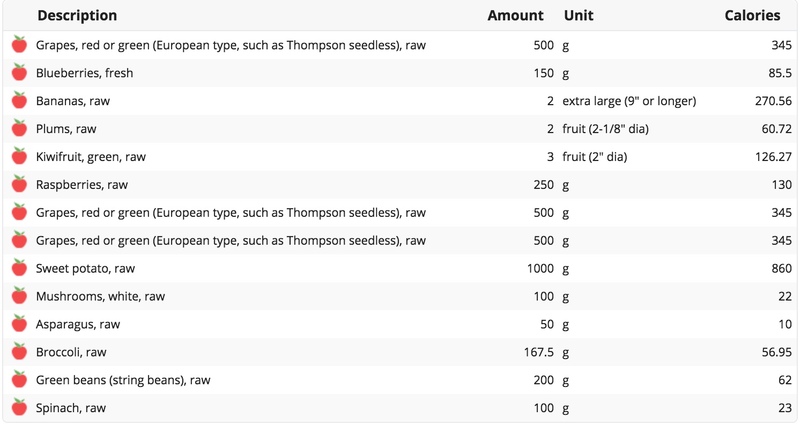 Breakfast – pack grapes, small pack blueberries, 2 giant bananas. Lunch – 2 plums, 3 kiwis, large pack raspberries, pack grapes. 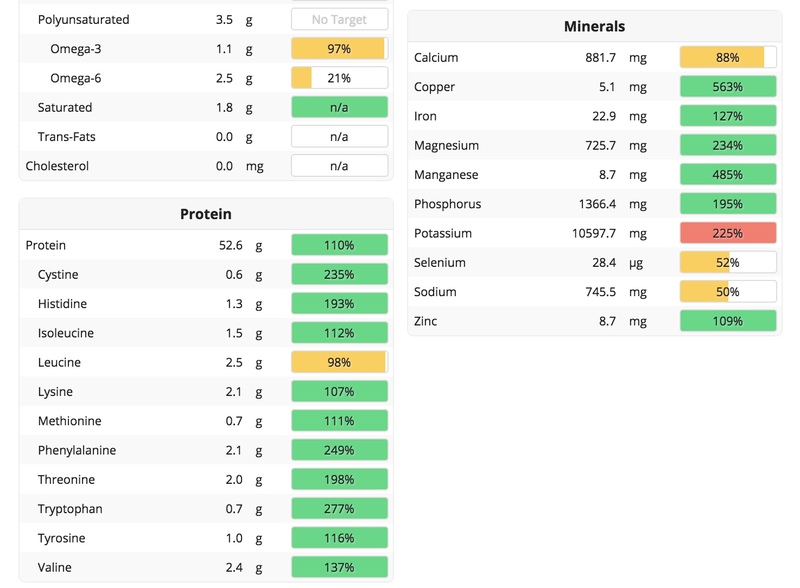 Dinner – steamed sweet potatoes, mushrooms, asparagus, broccoli, green beans, and spinach. This is the most complete day out of the week so far. I’m only missing B12. 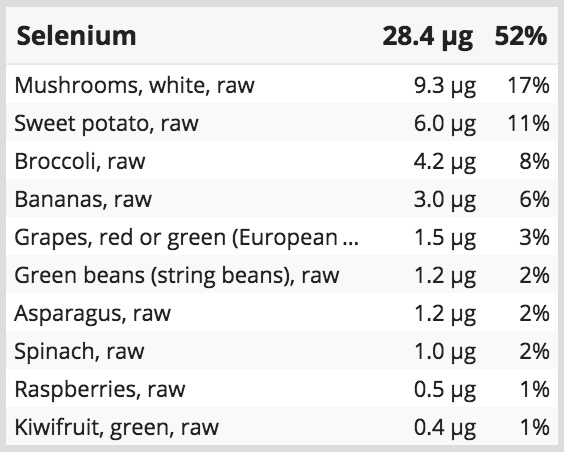 I came up short in selenium and calcium, but could easily eat extra mushrooms, sweet potatoes, or even a Brazil nut or two if I wanted more selenium. 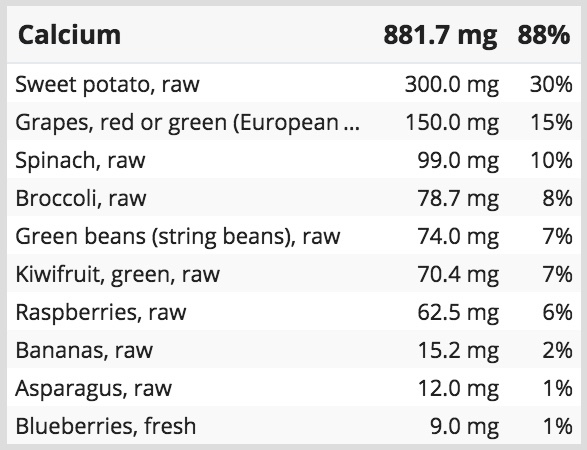 Extra sweet potatoes would give me more calcium as well, or I could snack on more grapes during the day. I had no idea grapes contained calcium. I just know I’m addicted to them! 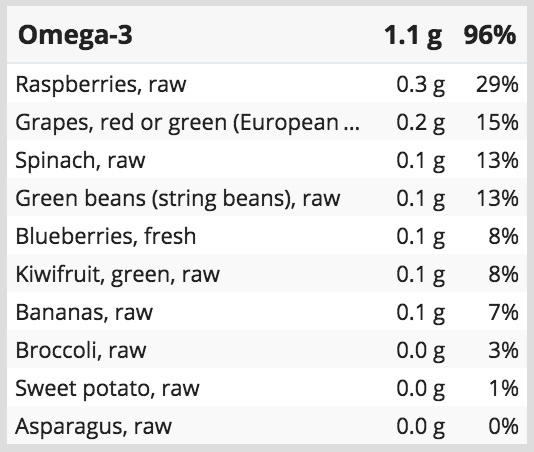 Surprisingly, I consumed 97% of my daily omega 3 allowance, mostly from raspberries! Raspberries also contain omega 6. 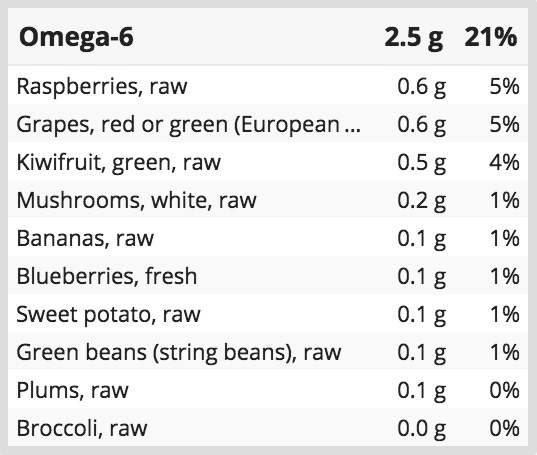 I had no idea I could find omega fatty acids in fruits and veggies. Often people assume we need to eat fish or flaxseeds in order to consume fatty acids, but now I know we can simply eat raspberries instead. Sweet! Fill up on raspberries and skip the flaxseeds. Do you use Cronometer? What have you learned about your eating habits? 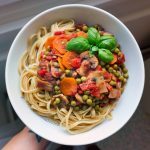 « What I eat in a day – Monday and Tuesday.